Ignorance of the Internet and the laws governing it often leave people and their personal data vulnerable online. The Internet has become an integral part of our lives. It is today regarded as a necessity, so much so that for most people life without an Internet connection is unfathomable. However, like all good things, the Internet also comes with its own baggage of not-so-nice things and concerns. Thus, it would be prudent for users to realise the risks posed by an ignorant approach to security online. The Safer Internet Day, celebrated on February 9 every year, presents a good opportunity to relook the security standards and levels individuals and organisations employ when online. Security breaches at Adobe and Sony in the not-too-distant past are active reminders of the pitfalls on the path to a connected world and the security perils posed by the Internet. "The Internet wasn't designed with security in mind. To make things worse, we forget that our digital footprints are bigger than we think. Cybercrime is no longer about brute force," Rajesh Maurya, country manager, India and SAARC, network security major Fortinet told International Business Times, India over email. "It subtly infiltrates your system, stays hidden and extracts data without any detection. Both, consumers and enterprises are not spared from perils of the Internet. "Today, with increasing dependency on the Internet and ever-increasing usage of smartphones, tablets and other such devices, we are all constantly connected to the good and the bad world of the Internet," Altaf Halde, managing director, South Asia, Kaspersky Lab told IBTimes India via email. "It is important to make your Internet experience a lot safer and use it to your advantage. It definitely helps to be cautious and aware of your Internet usage at all times." Halde called the Safer Internet Day a significant step towards promoting a safe and responsible approach to the digital world that could be aimed not just at children but also at adults. "Cybercriminals use stolen email or social media accounts from one victim to spear-phish, that is, lure their next victim. 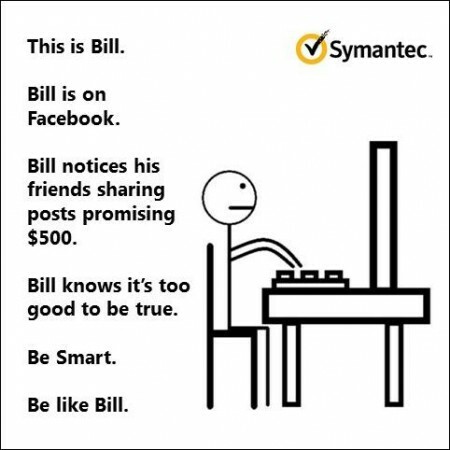 After all, we are more likely to click something posted by a friend," Ritesh Chopra, country manager, India, Norton by Symantec told IBTimes India over email. He highlighted one such nightmarish situation. "Using crypto ransomware, cybercriminals can hold a victim's files, photos and other digital media hostage and demand ransom. Our smart devices and wearables hold plenty of personal information which could lead to new opportunities for ransomware attacks," he said. With greater proliferation of connected devices and connected homes, Chopra said the average customer often leaves himself/herself more exposed than he/she realises. "Over one in three Indians do not have a password on their smartphone or desktop. Furthermore, less commonly used devices, such as our connected home devices, are less likely to be protected. With the Internet of Things, many of our devices are interconnected, increasing the importance of securing all our devices," Chopra said. "The Internet is terribly unsecure and definitely not private. Trusted staffers can turn into disgruntled employees overnight, and data can easily wind up in the wrong hands. If one friend who's turned hostile initiates a hack, our social networks can give away sensitive and personal information," Maurya said. Fortinet came out with some security guidelines for individual Internet users, like keeping all operating systems and applications up-to-date, installing all-in-one protection suites, being cautious about clicking links â€” especially on social media, using separate devices for important transactions and "fun" things, and most importantly, using strong passwords. Search giant Google is also actively promoting Safer Internet Day. Safety on the Internet has a legal aspect as well. "Today, on average, the chances are eight out of 10 people on the electronic or mobile platform would have committed some cybercrime at some point in their lives," cyber-law expert and Supreme Court advocate Pavan Duggal told IBTimes India over the phone. Duggal referred to the Delhi Public School MMS case as a major wake-up call for both corporates and individuals. "The CEO of the web hosting company was put behind bars. It made Corporate India realise that while they lobbied for changes in the law, they had to be compliant with the provisions of the law," Duggal said. "It also made individuals more sensitive about what to do in terms of protecting their interests online." Security providers and cybersecurity advocates recommend a cautious and educated approach to the Internet. "The law clearly states that ignorance of the law is not an excuse to commit a crime," Duggal said.